A: There are no such things as glowing fish. B: But I saw a glowing fish, so they must exist. A: You can’t have one seen one, because they don’t exist. B: I saw one, so they must exist. A: There is absolutely no evidence for that hypothesis. B: It’s not a hypothesis. It’s a fact. I saw one. A: If you claim to have seen a glowing fish, you must have been hallucinating, dreaming, mistaken, deceived, out of your mind, or confused. B: I was wide awake, feeling fine, and know what I saw. A: I respect your desire for luminescence, I feel it too. But isn’t it enough that there are real things that glow such as plasma, and real fish, that you must invent fictitious glowing fish as well? B: It’s not fiction, it’s science. 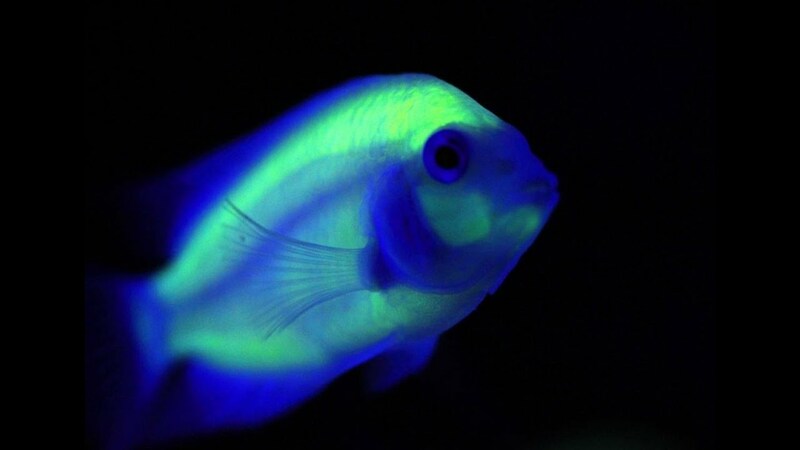 I have seen a glowing fish. A: That a fish should glow is against all the laws of nature. B: It must be compatible with the laws of nature, because it just happened. A: Whoever told you about the glowing fish must have been a credulous, backwards, uncivilized, uneducated, pre-scientific mythology. B: No one told me about it at all; I saw it myself not five minutes ago. A: I’m sorry, but you’re simply denying the facts, the evidence, all logic, science, and rationality.